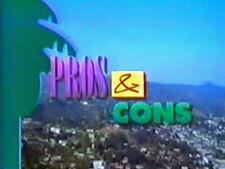 Pros & Cons: Mystery and Suspense on Television. James Earl Jones stars as Gabriel Bird, a Chicago police officer wrongfully convicted of killing his partner, and introduced in Gabriel's Fire. After a reworking of the premise (and a series title change), he's now in Los Angeles teamed with Mitch O'Hannon (played by Richard Crenna) as private investigators.